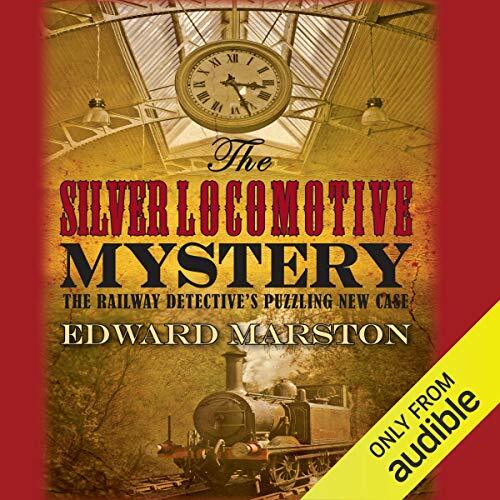 On the shocking discovery of a passenger's body on the Great Western Railway excursion train, Detective Inspector Robert Colbeck and his assistant, Sergeant Victor Leeming, are dispatched to the scene. Faced with what initially appears to be a motiveless murder, Colbeck is intrigued by the murder weapon - a noose. When it emerges that the victim had worked as a public executioner, Colbeck realises that this must be intrinsically linked to the killer's choice of weapon. However, the further he delves into the case, the more mysterious it becomes. 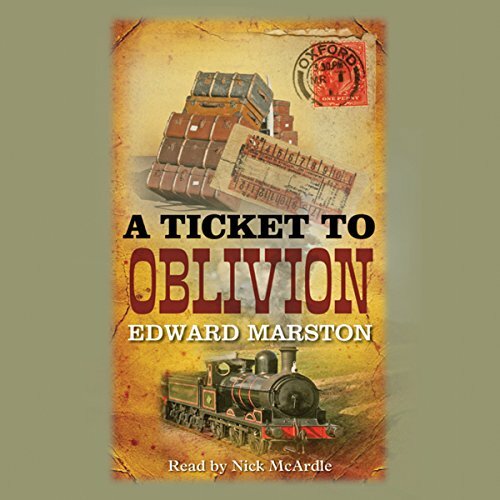 And when a second man is strangled by a noose on a train, Colbeck knows that he must act quickly. Can he catch the murderer before more lives are lost? 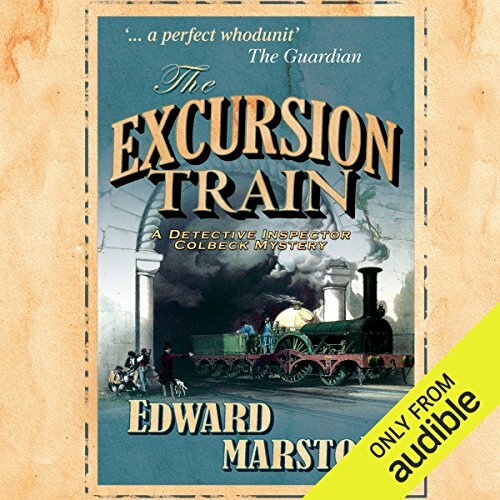 Set in Victorian England and rich in historical detail, The Excursion Train will hold you captivated from the beginning to the end of its journey. 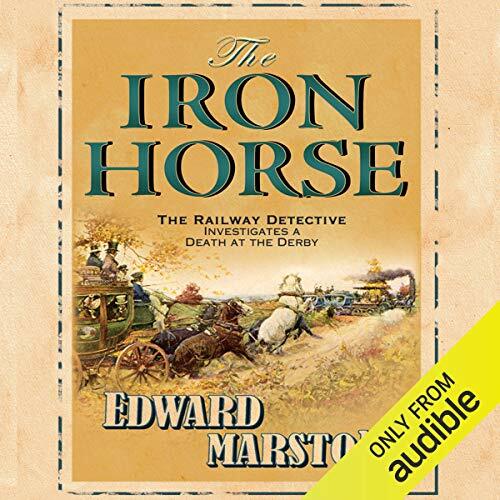 ©2006 Edward Marston (P)2014 Audible, Inc. 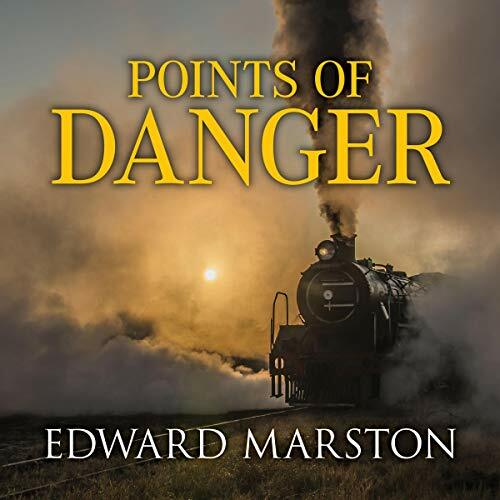 The Railway Detective faces his most dangerous adversary yet. 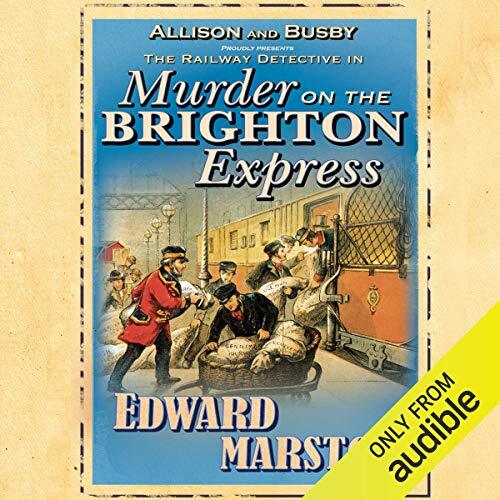 It is 1852, and Inspector Robert Colbeck and his assistant Sergeant Victor Leeming are faced with their most complex and difficult case to date. As a train speeds over the Sankey Viaduct, a man is hurled from a carriage and plummets into the canal below. It later transpires that he has been stabbed to death. With no papers by which to identify the man, the detectives' investigation is hampered from the start. 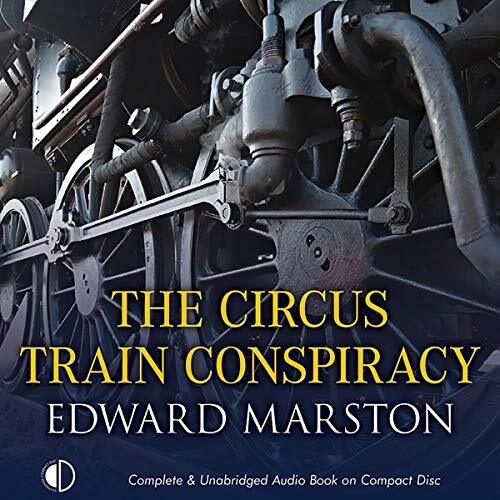 Suspecting that the victim may have come from continental Europe, Colbeck and Leeming take the case to France where a new railway is being built by a British contractor. Derby Day at Epsom Downs and a multitude of people crowd to watch the races: dukes and dustmen, bishops and beggars, privileged ladies and prostitutes. The gamut of Victorian society, though, is also a hotbed for crime and crooks of all kinds. 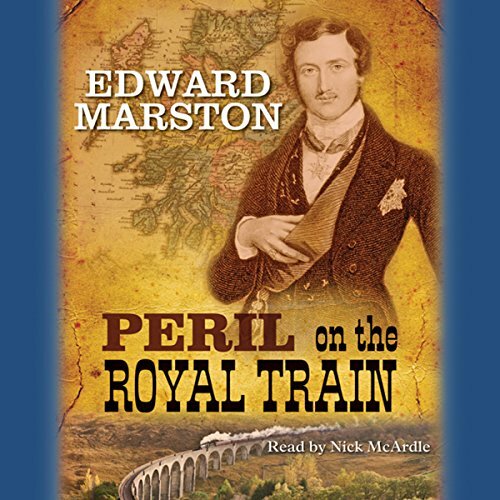 With the country a-flutter in the run-up to this national occasion, events reach fever pitch when a disembodied head is discovered on a passenger train at Crewe; the first in a murky course of events that takes in murder, fraud and race-fixing. When the engines finally met, there was a deafening clash and the Brighton Express twisted and buckled, tipping its carriages on to the other line. It was a scene of utter devastation. October 1854. As crowds of passengers rush to make the departure of the London to Brighton Express, a man watches from the shadows nearby, grimly satisfied as the train pulls out of the station. Chaos, fatalities and unbelievable destruction are the scene soon after when the train derails on the last leg of its journey. An exquisite silver coffee-pot in the shape of a locomotive is on its way to Cardiff in the care of silversmith, Hugh Kellow. 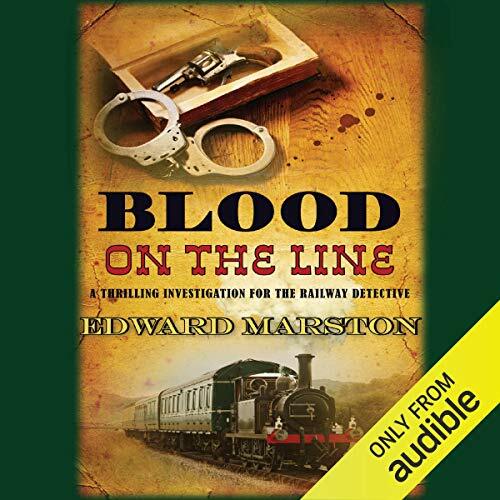 When the coffee-pot is stolen and a murder is committed, Inspector Colbeck and Sergeant Leeming are called in to investigate. 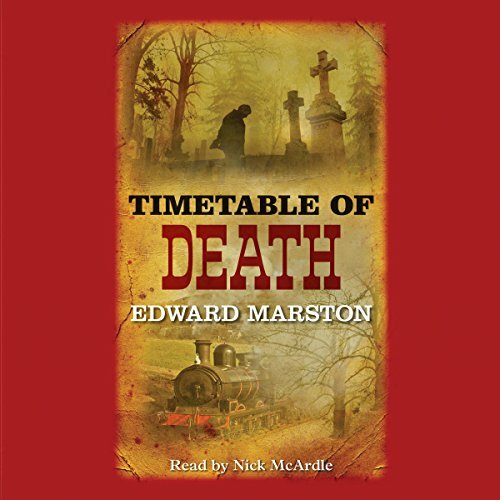 The year is 1855, and on the LNWR train to London, a criminal is being escorted to his appointment with the hangman. But the wily Jeremy Oxley, conman, thief and murderer, has one last ace up his sleeve: a beautiful and ruthless accomplice willing to do anything to save her lover, including committing cold-blooded murder... When Inspector Robert Colbeck learns that Oxley, his nemesis, has once again escaped, black memories of their shared past leave him no choice but to do his duty. Guy Fawkes Night, 1857. Joel Heygate is the popular stationmaster at Exeter St David's railway station - an impressive figure of a man replete with frock coat and top hat, bushy eyebrows and walrus moustache. But when the charred remains of a body are discovered in the embers of the town's annual Bonfire Night celebration, everyone is horrified when it becomes clear that they belong to Mr Heygate. Another great entry in the series! Eighteen fifty-nine, St. Mary’s Church, Sponden. A little girl playing hide-and-seek jumps into a freshly dug grave to find a dead man already occupying it. 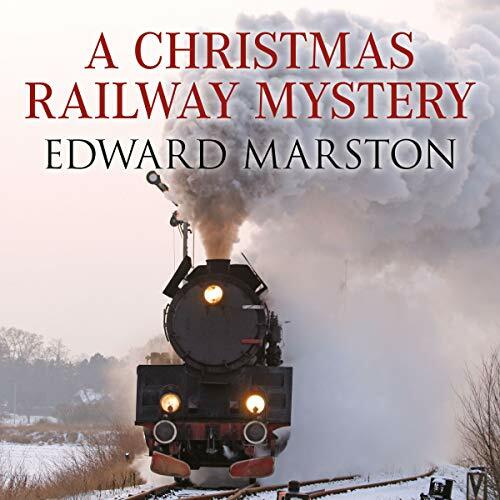 It is the body of Cecile Norton, a senior director of the Midland Railway. Inspector Colbeck and Sergeant Leeming travel to Derbyshire to investigate. 1860, Wimborne, Dorset. Rebecca Tullidge, miserably married to her callous husband, is having an affair with a railway officer, John Bedloe. 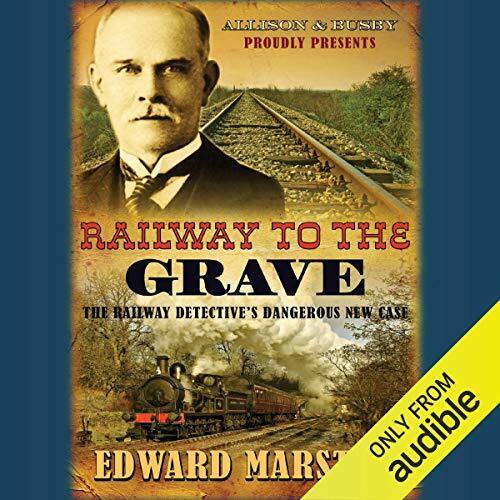 Much to her distress, she trips over her lover's dead body on the railway tracks. Determined to win votes for the upcoming election of mayor, Mr Feltham calls for Inspector Colbeck and Sergeant Lemming to solve the hideous crime, which takes longer than anticipated. Following a string of successful performances along the west coast, the Moscardi Circus is travelling by train to Hexham on the Newcastle to Carlisle Railway for their next show. Yet a collision on the track causes pandemonium. 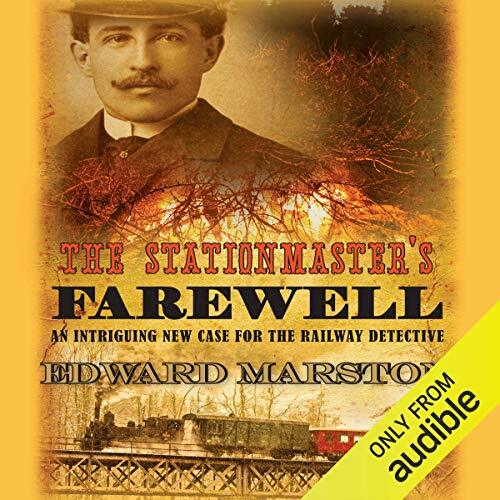 When the headless body of a woman is discovered in nearby woodland, Inspector Colbeck is desperate to lend assistance, however a reluctant Superintendent Tallis forbids him from doing so. December 1860. Headed for the morning shift at the Swindon Locomotive Works is an army of men pouring out of terraced houses built by the GWR, a miniature town and planned community that aims to provide for its employees from cradle to grave. Unfortunately, boilersmith Frank Rodman is headed for the grave sooner than he'd expected, or he will be once his missing head is found. 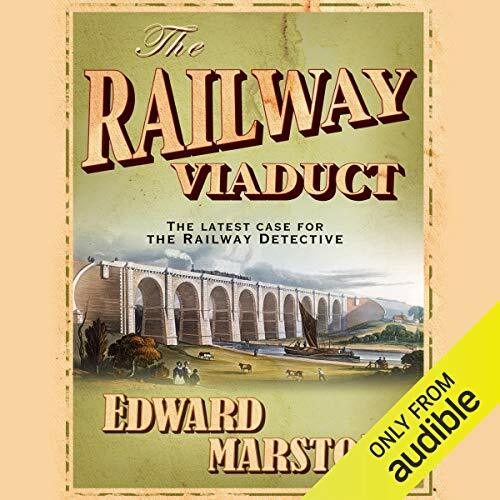 Colbeck, the Railway Detective, finds his investigation into Rodman's murder mired in contradictions. East Anglia, 1861. Alone in a first-class carriage, the Swarbricks are robbed at gunpoint. 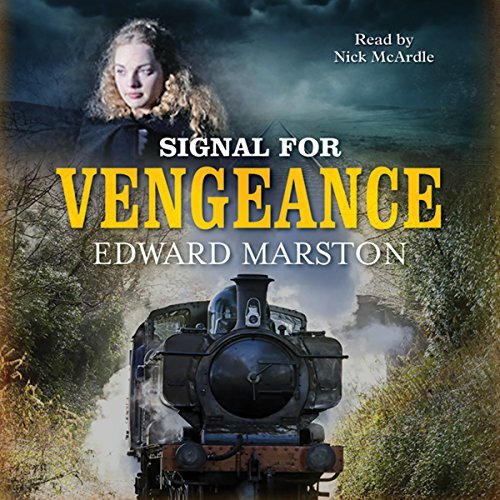 But when the universally admired Swarbrick fights back, the train robber takes more than money and jewellery, killing the man working to unify East Anglia's tangle of railway networks. 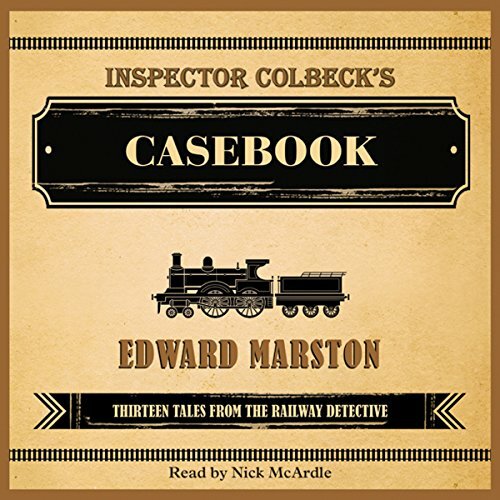 Inspector Colbeck is brought in from London, but as Swarbrick's glowing reputation begins to crumble, the line of investigation isn't clear.